Engage your employees, build individual competencies and elevate communications through the application of interactive educational tools and digital content accessible “real-time”. CDN provides turnkey education and training services to support organizations’ goals to increase team productivity, improve team satisfaction and motivation, and reduce turnover. 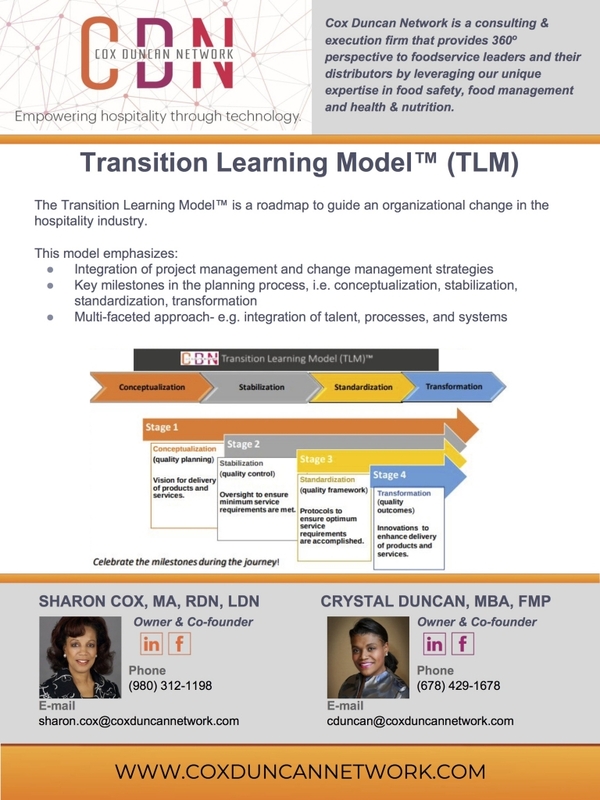 A roadmap to guide leaders in decision-making that provides an objective process to identify the right problem and the right solution to improve overall quality in a foodservice operation. 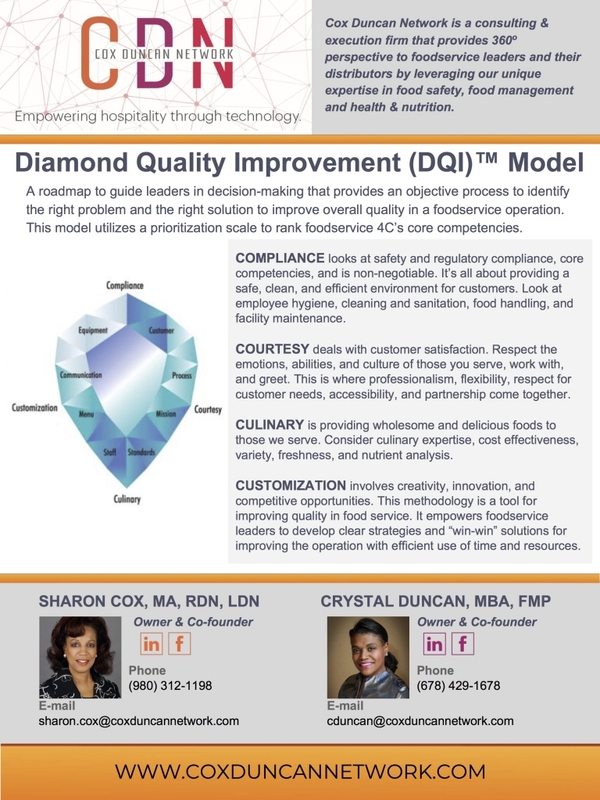 This model utilizes a prioritization scale to rank foodservice 4C’s core competencies- compliance (safety), courtesy(customer experience), culinary (food quality),customization (technology/innovation). CDN’s team of registered dietitians use a compilation of evidence-based research, trends, insights, and innovative wellness tools to support health and wellness initiatives as well as disease management support programs. Our team of subject matter experts (SME) can help you enhance or expand your platform. Enhance customer experience, mitigate risks, increase overall efficiencies, and improve outcomes with CDN’s solutions and customized tools for proactive HACCP and FSMA compliance.